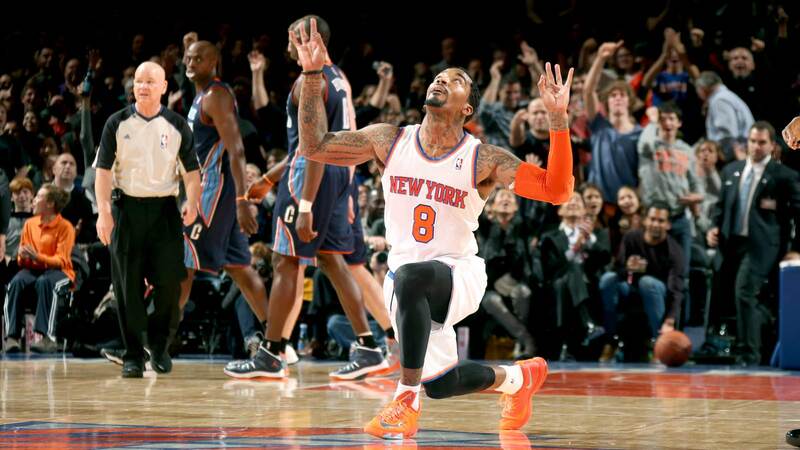 New York Knicks guard J.R. Smith isn’t afraid to share his feelings about anything. But you already know that if you follow him on Twitter. Smith sat down for a Q&A with us on Thursday and didn’t disappoint at all. Some of the best nuggets from below: He has taken advantage of the new DM feature on Instagram, he once spent $12,000 on a cell phone, and he told us who he thinks is the biggest trash talker in the NBA. 2. Best Christmas gift you ever gave and received? Smith: Received a real leather NBA ball/Gave my mom a BMW car. 4. What percent of your body is tattooed? Which is the biggest/most intricate? Smith: 70%. Whole back piece "Just Clowning" took three years to finish. Clowns playing sports, etc. 5. What was the craziest thing you saw playing in the Chinese Basketball Association? Smith: People smoking in the arena. 6. Do you regret anything you’ve tweeted or Instagram’d? 7. Have you been taking advantage of the new Instagram DM feature? 8. Are you upset that James Dolan got rid of the Knicks City Dancers? Smith: They’re still there, but no I didn’t like it (that they’re leaving). 9. Who is the biggest trash talker in the league? 10. What are your go-to trash-talk lines? 11. Better player in their prime: Jordan or LeBron? 12. Weirdest thing you ate while playing in China? Smith: Didn’t eat, didn’t trust the food there. 13. Craziest thing you’ve bought since playing in the NBA? Smith: $12,000.00 cell phone I used for a week. 14. Something that you’re afraid of that might surprise people? 15. When was the last time you cried? 16. Most embarrassing song on your iPod? 17. Best celebrity to party with?